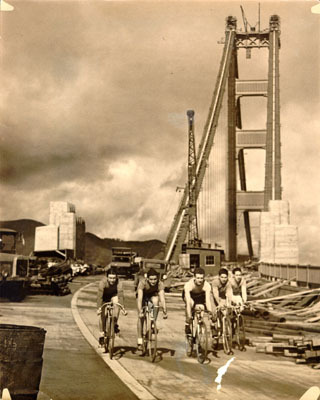 Title [A group of cyclists bicycling on Golden Gate Bridge] [graphic]. Location Folder: S.F. Bridges-Golden Gate-Bicycling.